Discover Nuremberg's attractions and the old town on foot, check out the events at the Luitpoldhain and visit the exhibition center, an important part of the Franconian metropolis. Everything is easily accessible on the U-Bahn and the tram. 4-star comfort for private or business travel: Our hotel has 240 Easy Living Rooms with air conditioning and free WIFI. Up to two children under 16 years can stay in their parents' or grandparents' room for free, including free breakfast. Our Pizzeria Posta serves Italian dishes such as pizza, pasta, antipasti and daily specials. The restaurant is open daily from midday until 11 PM. Buon appetito! Classic and cozy: Enjoy a refreshing cocktail or a cold beer in Bar Stazione - alone, with friends or when meeting with business partners. With sun terrace! Open 11:30 AM to 1 AM. Housekeeping staff needs some basic training, regarding knocking on the door before entering. Other than that I enjoyed staying there. The receptionist was professional and very friendly. Rooms were clean and comfortable. Totally unacceptable behaviour from the housekeeping lady. I have NEVER experienced such rude behaviour.The housekeeping lady in charge, walked purposely into our room after being told that the room was occupied. The way she spoke to us as guest in the hotel was unacceptable. I am still shocked about such behaviour. I would not ever stay in n your hotel again. I love your hotel, I love your swimming pool, I love your Pizzeria Posta, and I love every stay with you, but please, I need a tougher pillow. Stayed as a couple and enjoyed the muni holiday - nice swimming pool, two saunas, clean facilities. Friendly barn. Modern rooms and comfort. From arrival to departure we had a delightful stay. The staff at this property are friendly, knowledgable and accommodating. After our first night, we felt like we were staying with old friends who were working as hard as they could to ensure we had the stay of a lifetime in this lovely hotel. The location is about 100 meters from the main city transport hub allowing you quick access to all parts of the city quickly. The hotel is 200 meters from the main shopping and restaurant section of the city allowing you to stroll leisurely enjoying the local scenery. Novotel is one of our favorite hotels. Rooms are very clean and staff is wonderful and really helpful. Our kids appreciate the playroom and love the pool upstairs. The breakfast buffe is one of the best I’ve seen, always fresh, and I like that I can have my eggs a la carte. 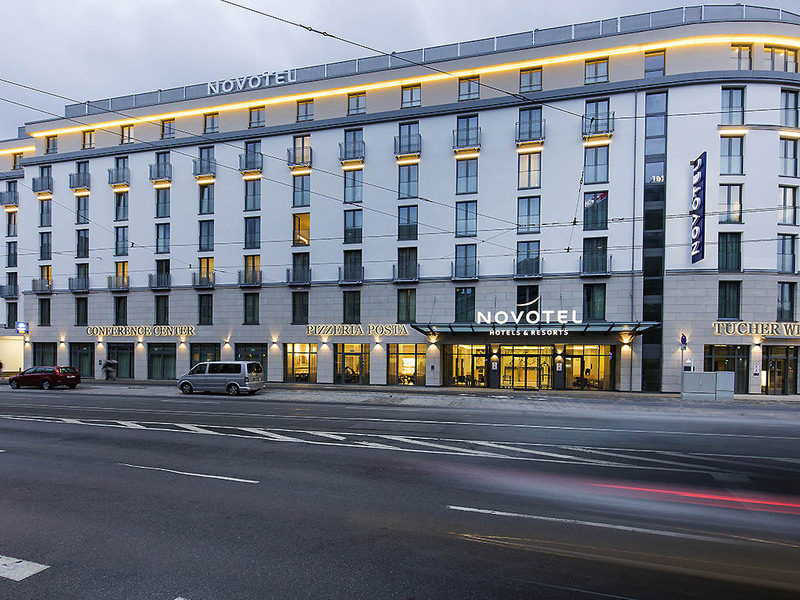 We have visited Novotel a few times and the stay has been a pleasure every time! We will definitely be back! Everything was great but the room was too hot. I asked on 3 occasions for it to be fixed and although reception tried it never got fixed. This resulted in sleepless nights and ruined our days hence the very poor score. look at the records, we did not receive what we ordered, dusan M.
It was ok but, I had better experience in other Novotel Hotels. It was very neutral - didn’t feel like a silver guest. Didn’t receive my welcome drink. Everything was great. Staff, cleanliness, comfort and facilities all very good.